I have a new mantra: Wait for Everything to be Dry, and a new policy on using mediums (linseed oil, etc.) in my paint: Don’t Use Any Medium, and a new slogan written on the wall of the studio in black marker: Really, Wait for It To Dry. This is the first piece I’ve finished with all the rules in place and I’m very pleased with it. 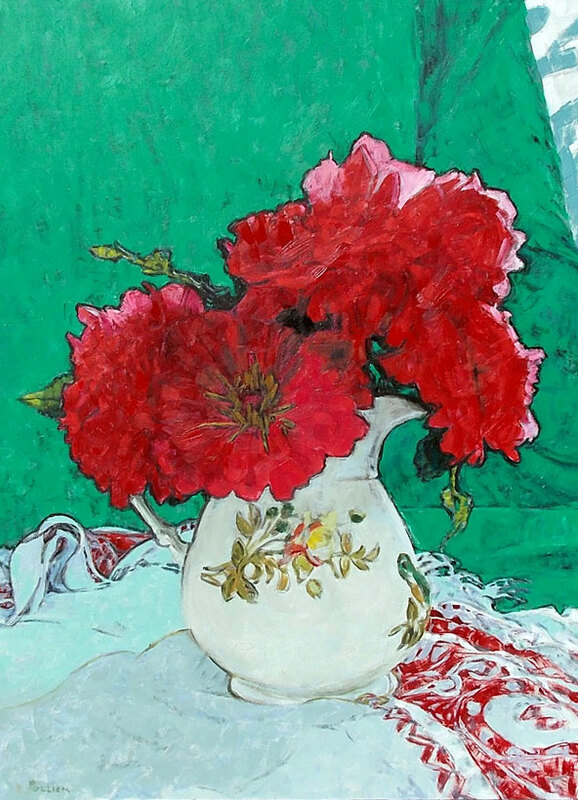 Red Flowers, White Pitcher. 24 x 18, oil on panel. Up next, and Blagden Preserve landscape using the same constraints keeps life interesting. . . This entry was posted in art, meta, painting, still life and tagged painting, still life on September 27, 2014 by APo.